Welcome to our second group of activities in the blogging challenge. Again three areas to improve in your blog, then some choices for posts for this week. I notice many of our newer bloggers don’t have avatars yet. Visit this post where I explain how to create and upload your avatars. Click on one of the avatars to take you to the actual site. 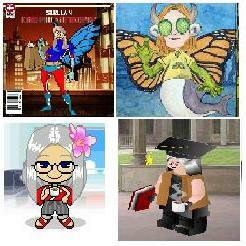 Maybe as a class you could then create a slideshow of the avatars you created. Or maybe you could create an avatar for each member of your family and put those in a slideshow. Which slideshow? Check out the Web tools to use on the right sidebar of this blog. These are my blogroll. I can choose to have them in total (headings will then be in alphabetical order – see Miss T below), or just one category at a time. To create the link category headings, go to your dashboard> links > link category You might include classmates, overseas friends, class blogs, get help and websites. To make sure these appear on your sidebar, go to dashboard> appearance> widgets and drag the links or blogroll across to the sidebar area. To add some links such as the challenge blog and your friends’ blogs, go to your dashboard> links> add new. Remember to say what category you put the link under and also use http:// in front of the URL. Be internet savvy and only use first names of students. You might include at least 10 classmates, some overseas friends you have visited, Student Challenge Blog, The Edublogger, Help from Edublogs or kidblogs or weebly etc, your class/school blog and/or intranet and websites you often visit. Here is a post by Sue Waters about creating a blogroll. Follow the instructions for Step 2 in her post. If using Blogger, go here to find instructions. Remember to include Bling for your Blog on your blogroll. You will notice in today’s challenge, I have included a lot of hyperlinks to other places to visit. If you do this in posts, you are showing your readers that you have researched the topic – you are not just writing about what your friends have told you or things you think you know. You can hyperlink in posts, pages and comments – handy if commenting on kidblog and you want to leave your blog URL. OK so you have done the three activities above to improve your blog. Maybe it is LEGO, Moshi Monsters, MMORPG games, book reviews, minecraft, embroidery, travelling, crafts, art, architecture, poetry, farming, astronomy …… The list is boundless. But a blog post or page is written in your words, so don’t copy and paste from other websites – always use your own words first and then send your visitors to other places on the internet to find out more. Write a post, create a movie, find websites, create a slideshow, create a comic – there are infinite ways to present your passion. If you know of a great tool to use, leave a comment below with a link to the tool URL in your comment. Visit these websites – look around them and write a post about some part that intrigued you. What can you learn on the nourish interactive site? An ABC story about virtual exercise – what do you think? Then start leaving more comments on other participants’ blogs. Find at least 5 other students with similar hobbies to you. Visit their blog and leave a comment. Have you remembered to check your own spam comments, in case some are legitimate? 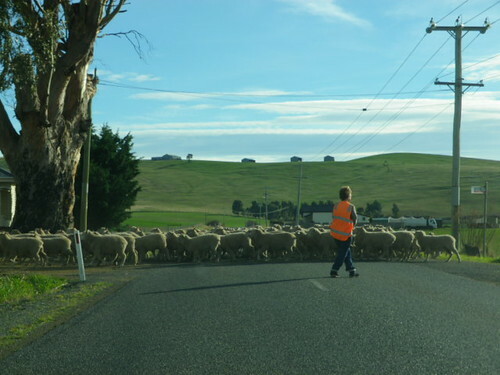 Image: Photo taken by Miss W on her way to Bicheno. Pingback: | This Is Me!!! Hi, I have tried over and over again to get a link in the blogroll but it never works, what else can I do? Is it because of my appearance on my blog? I left a comment on your post about widgets explaining how to add links. Hope it helps.